When we set off on this journey, we weren’t exactly sure what to expect from most of the “Stan” countries. 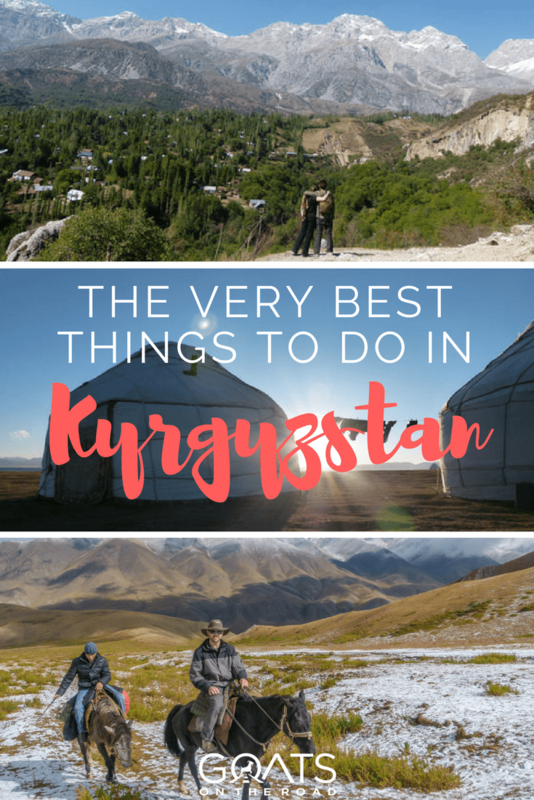 The one country that we knew would be a hit though was little Kyrgyzstan, a place that is easy to get in to (no visa anymore), has loads of mountains and activities available and has great infrastructure for tourism. We spent three weeks here and loved every minute of it! 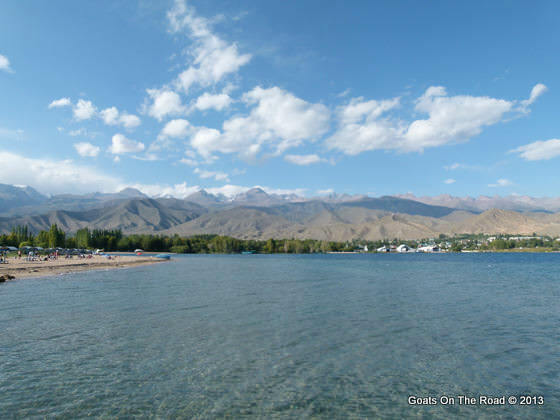 We gazed at the towering Ala-Too Range, while swimming in the second highest lake in the world, Lake Issyk-Kol. 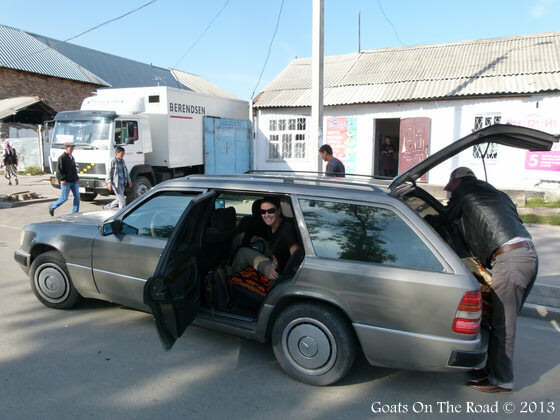 We endured bumpy rides in marshutkas and squished into the back seats of shared taxis to get from point “a” to point “b”. We brought a map and compass and navigated our way from the town of Karakol to the village of Atlyn Arashan. Trekking up to 3,800m, camping for two nights and gazing out at the stunning lake Ala-Kul before soaking in the hot springs at Atlyn Arashan was a definite highlight of our travels. 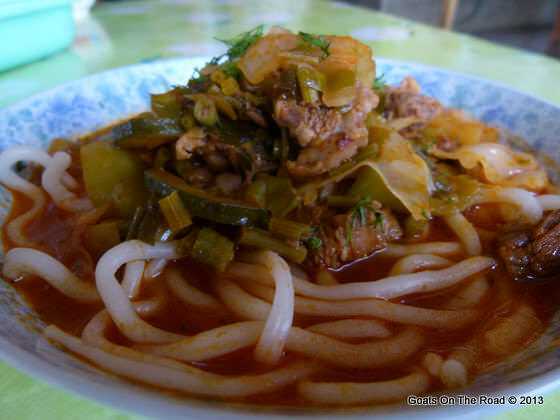 We ate amazing local cuisine, with our favourites being katlet (stewed beef with rice, buckwheat, noodles and sauce) kuurduk (fried beef with sauce, potato and onion), shashlyk (chunks of chicken, mutton or beef grilled on skewers) and laghman (noodle soup with vegetables and meat). We stayed in wonderful homestays owned by even more wonderful families. 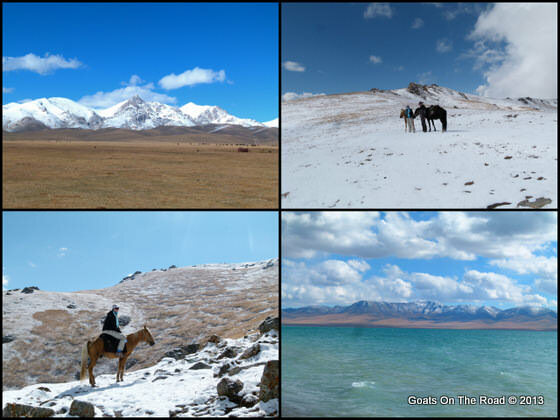 We went on our very first (but definitely not last) horse trek to glistening Lake Song-Kul. 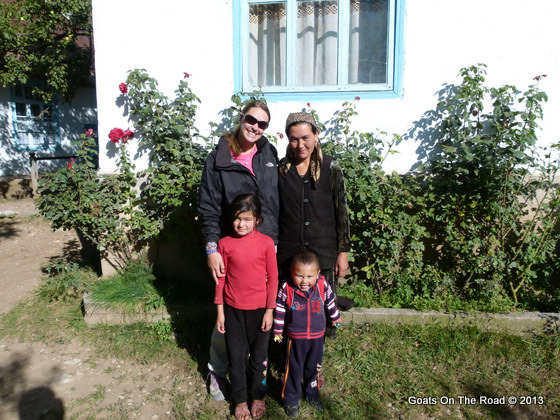 We stayed in yurts with local families and were shown traditional Kyrgyz hospitality. We went on an overnight fishing trip, camping alongside a river in the middle of nowhere with a 70 year-old fisherman and a guide. We hiked up to waterfalls and gazed out at the scenery down below from picture perfect panorama viewpoints. 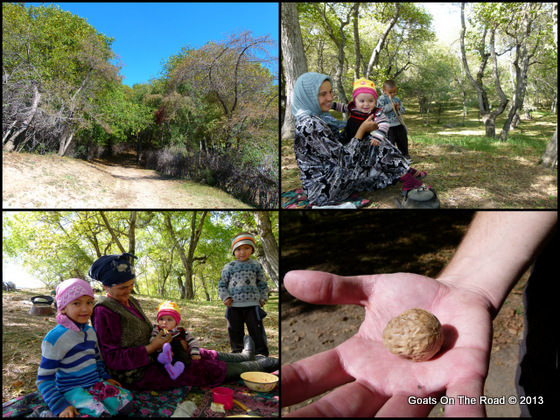 We went to the biggest walnut grove in the world and met families living out there during the harvest season. We were shown nothing but generosity, hospitality and kindness from the local people, no matter which ethnicity they were. We wandered around bazaars looking at and sampling the fresh fruits, veggies, breads and spices. After a very memorable time in Kyrgyzstan, it was time to move on. We’ll never forget the Kyrgyz hospitality, the outdoor activities, the interesting culture and the fantastic scenery. 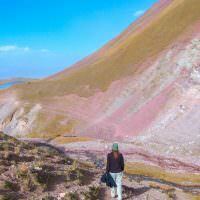 We would absolutely love to come back here and explore more of what Kyrgyzstan has to offer! We Returned to Kyrgyzstan in June, 2017! 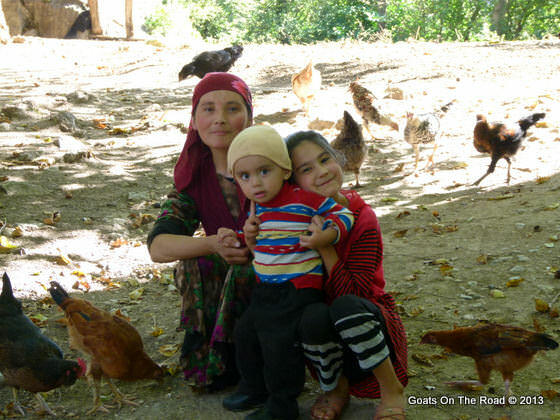 It had been 4 years since we had been in Kyrgyzstan, and this time around it was just as magical as the last. 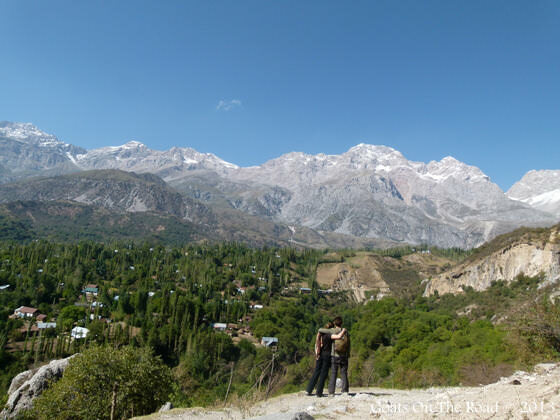 We marked out a new trekking route around the Village of Jyrgalan, and we did so many things in Karakol that didn’t involve trekking (many of which are new since this year). 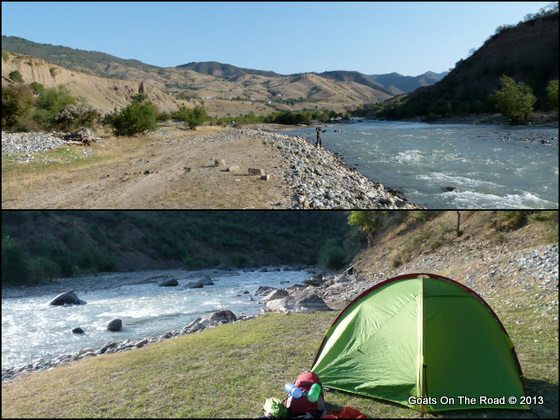 We camped on the south shore of Lake Issyk-Kul in yurts, saw an eagle hunting demonstration, learned how to build a yurt from scratch, and of course, partied it up in Bishkek! 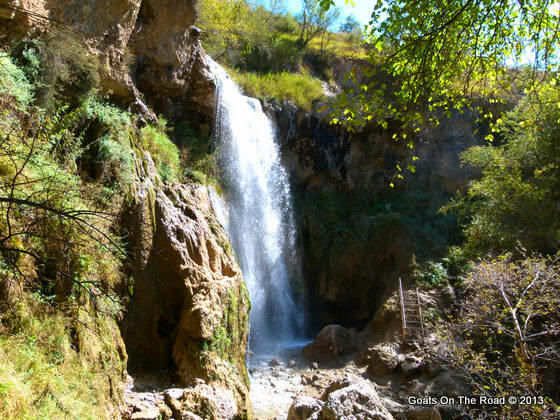 There are so many things to see and do in Kyrgyzstan. For information on trekking by foot or horse around Jyrgalan, contact Destination Jyrgalan at: [email protected], and if you’re interested in cultural activities around Karakol, contact Destination Karakol at: [email protected] Of course, you can always email us as well for advice and information! Very adventurous! Great stories to pass on to your grandkids in years to come :-). Kyrgyzstan was an awesome country, we loved it there. Thanks for the comment guys. 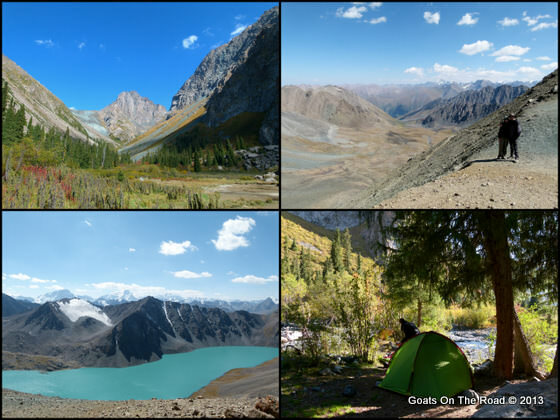 We’re glad we’ve inspired you to take a look at Kyrgyzstan! Mozambique is awesome 🙂 You’ll have a great time there. 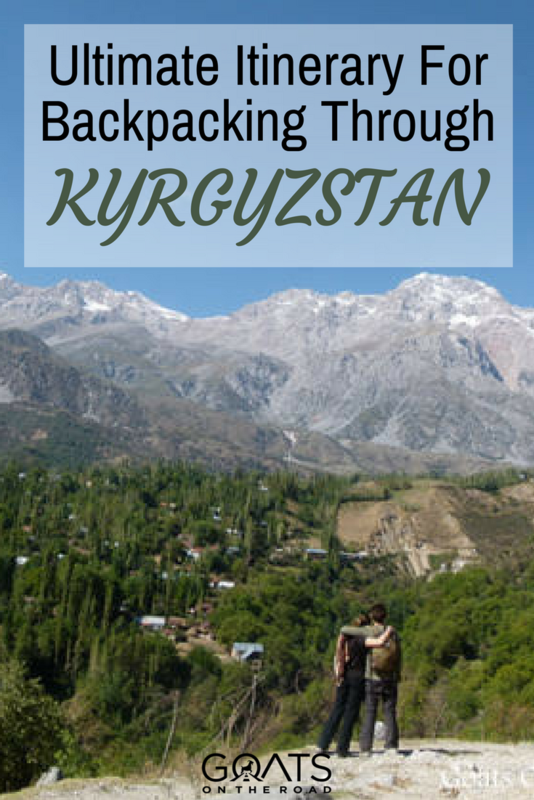 Yes, we think that 3 weeks is feasible for a trip to Kyrgyzstan. We were there for 3 weeks and were able to see a lot of things, and we moved a bit slowly as well. 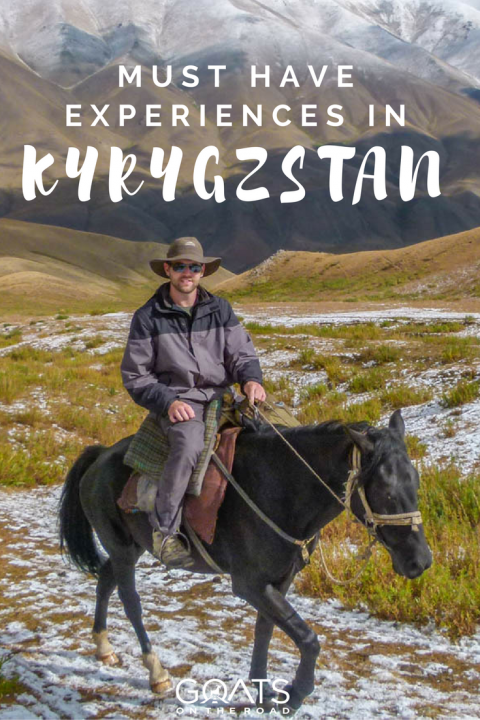 I think Kyrgyzstan placed about zero on my radar of countries to visit, but after following along on your adventures there, I totally want to go! Glad you’re enjoying our adventures, thanks for the comment and for following along! Hi! 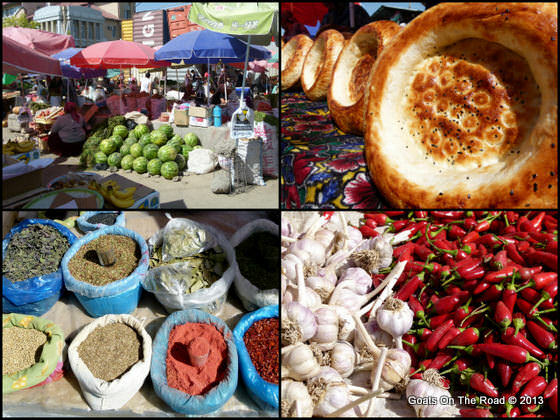 Can you remember the cost of things in Kyrgyzstan, say compared to SE Asia? Rooms etc. Thanks for the info and post! What time of year did you travel (can see your post is from mid october)? 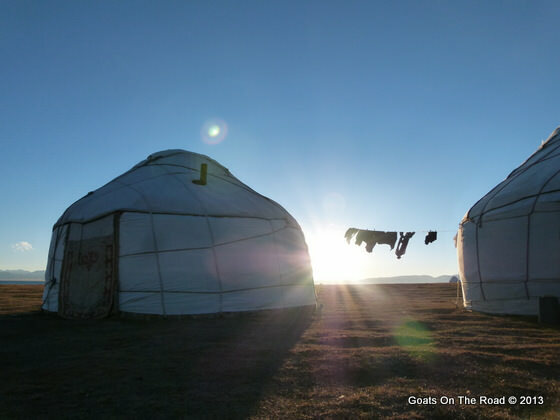 We are arriving 19th of september and have 3 weeks – would love to do Ala-Kul trek and some horse trek at Song Kul + sleeping in a yurt. Just nervous that we are a little bit off season with this (some places we have read that horse trekking and sleeping in yurts at Song Kul ends mid september). I’m sorry for the delayed reply. We were in Kyrgyzstan in September and we too did the hike and horse trekking at Song Kul 🙂 It’s fine that time of year! Just ask around once you get there though to make sure the hiking is safe and about the weather on the pass, etc. I went to kygyzstan same time. I had some local connections which was extremely handy. I wonder how you got on language wise? Most Kyrgyz speak russian. A fabulous people – incredibly genuine and hospitable and a beautiful country to roam without seeing another tourist. Funnily enough there was a Canadian couple in the yurt camp we stayed in south of Issyk kul. Surely not you? Would be hilarious if it was because I used your site for packing advice before I went!